Long days work. 13 hours at the track, subway for dinner, it was hot tub time. Cody Turner started it out nice with his legendary belly flop. 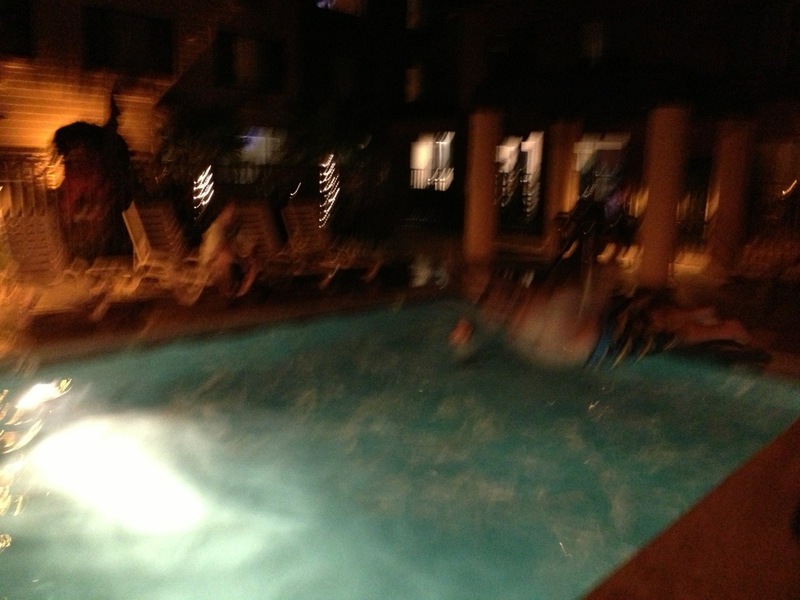 Pic is very blurry, but you can see the form. You got to have head, hands, feet above the belly. It’s all about the commitment. 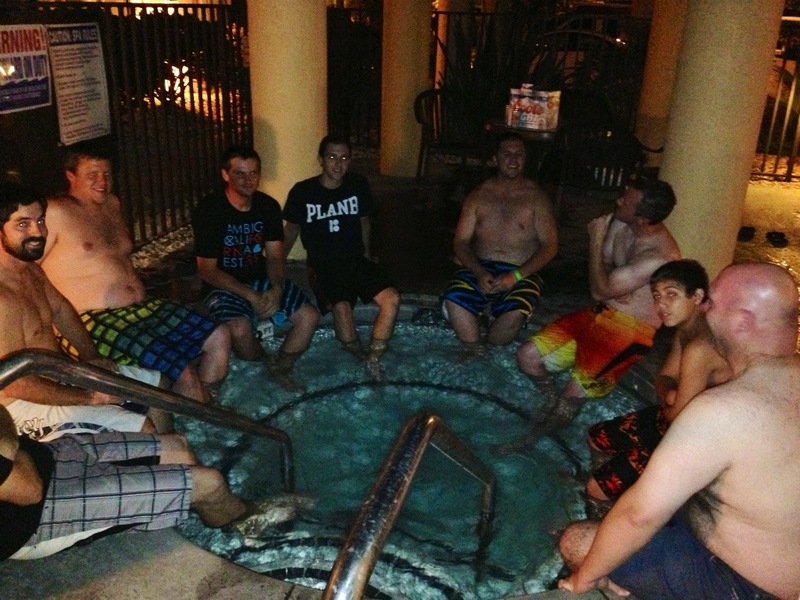 After that we played how many dudes can you get in a hot tub.